Yashima Precision Works was founded in 1945. 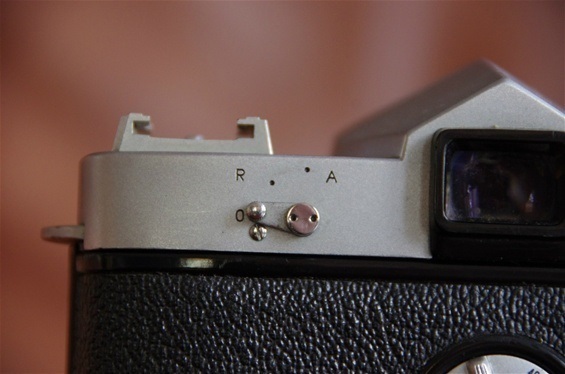 Their first cameras were TLRs, Twin eyed Lens Reflex cameras. 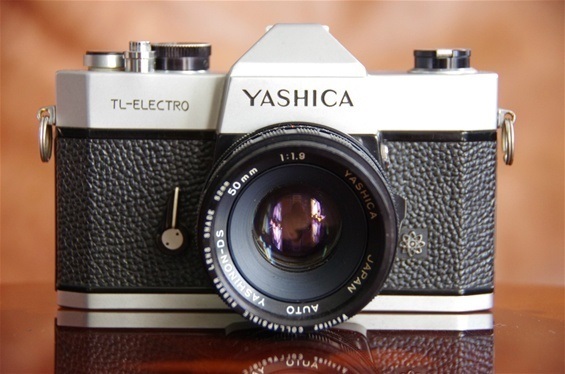 They changed name to Yashicas in 1957. 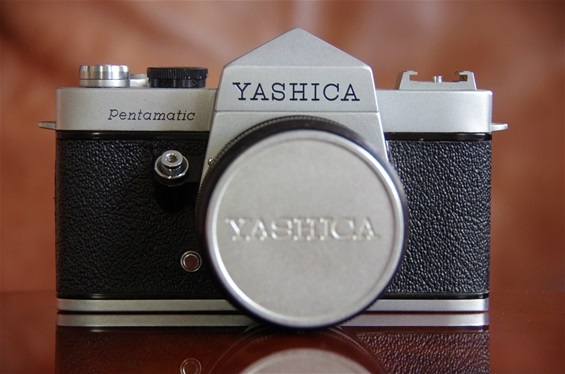 During the 60s, Yashica was building a name as quality camera builders. 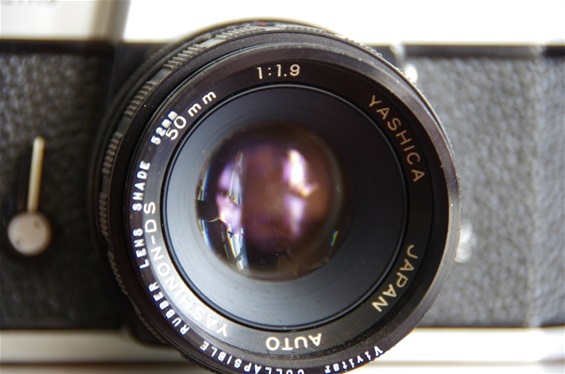 In 1974, Yashica started a cooperation with West-German Carl Zeiss company. 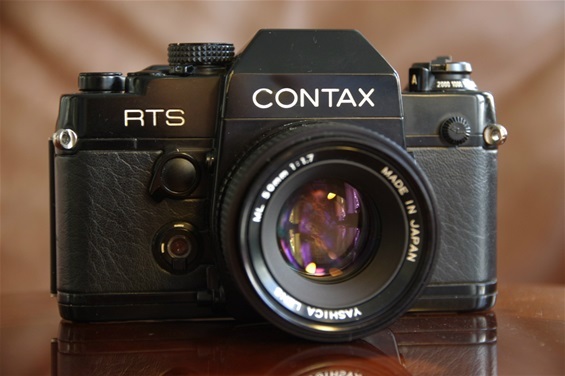 They took over production of the Contax cameras, and in 1975 they introduced the Contax RTS. 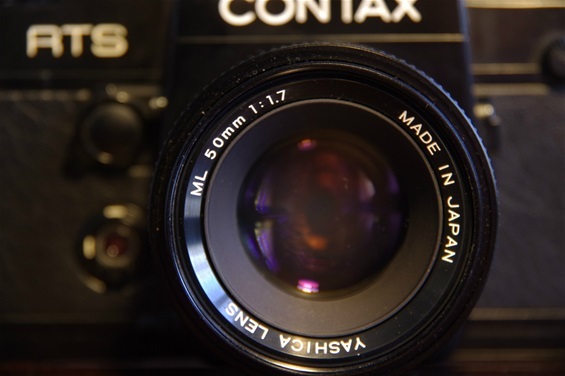 It was a success, especially as Yashica also was given the possibility of using and developing Carl Zeiss optics for Contax and Yashica cameras. 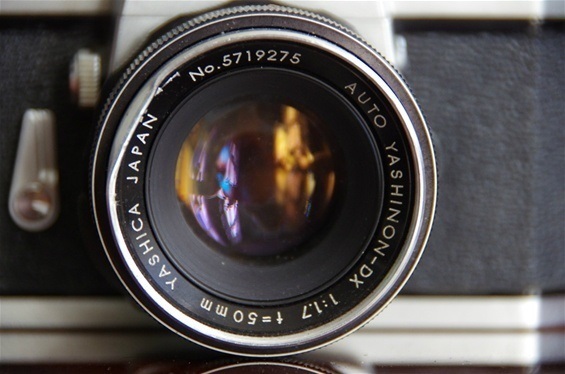 In 1983 the ceramic producer Kyocera took over Yashica/Contax and went on producing both brands. But during the 80s, sales were falling and Kyocera stopped producing Yashica PP SLRs in 1994. Kyocera/Contax would go on for another 11 years. 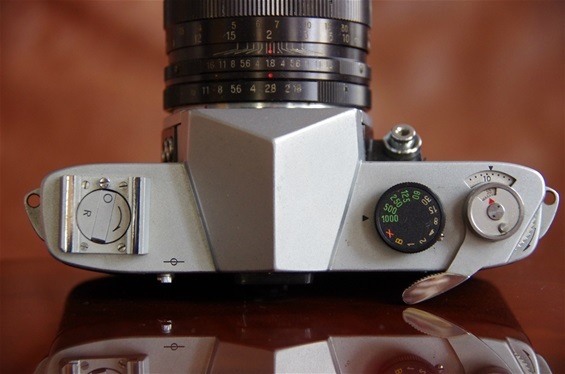 Yashicas first PP SLR, the Pentamatic, presented 1i 1959, for sale from 1960. S/n: 66004691. A foldable rewind crank inside the flash socket. 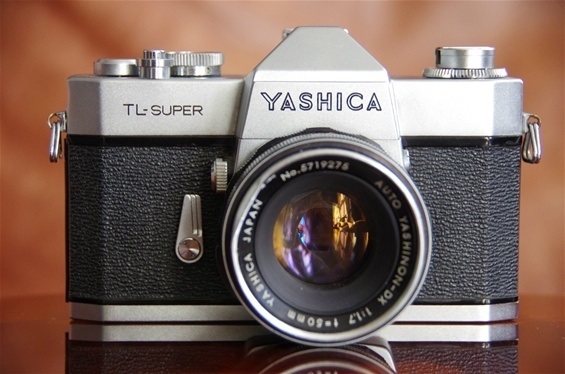 The TL-Super from 1966 was Yashicas first TTL camera, and became quite popular. S/N: 8727351. 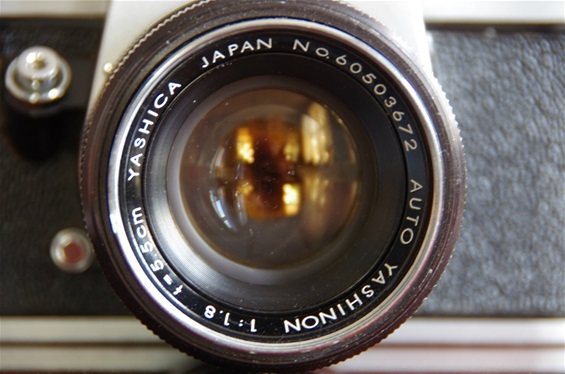 Auto Yashinon DX 50/1,7 lens. A dent on the outer ring. Sn. 5719275. 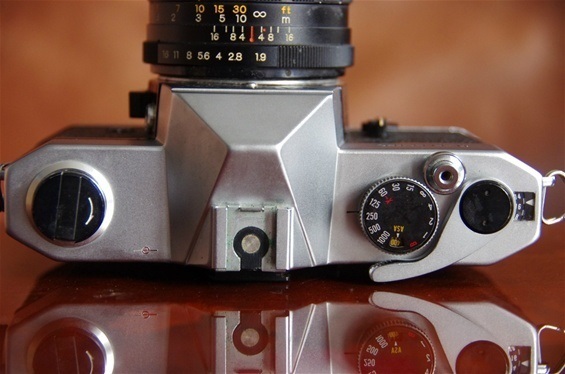 Produced for Zeiss Ikon from 1975. More to come.. 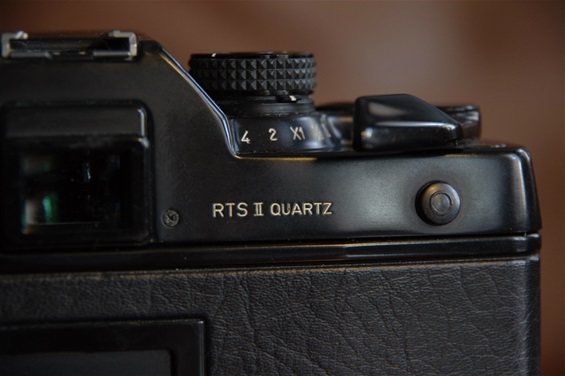 This Contax RTS II Quartz was introduced in 1982. Sn. 177457. 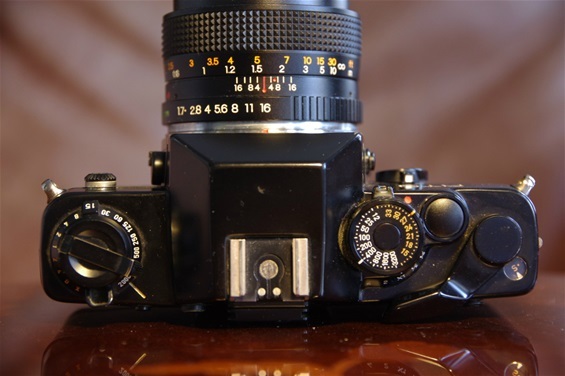 As Yashica shared the same mount as Carl Zeiss, lenses could be mixed. Here a Yashica ML 50/1,7. Shutter time dial to the left. Unusual. ISO settings to the right, where shutter times usually are found. 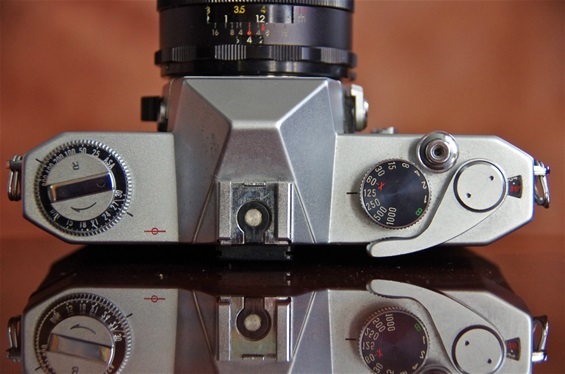 But lay out was close to the trendsetting Asahi Pentax of 1975!